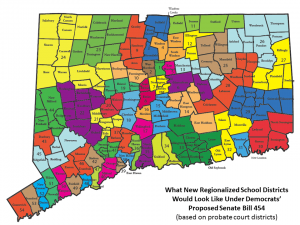 Loss of local control over school decision making. Forcing regionalization leaves little room for towns, cities and local residents to have a say in what happens. Want to speak out about this proposal? I will let you know once a public hearing is scheduled so you can submit testimony or testify in person at the State Capitol. As always, please do not hesitate to contact me should you have any questions or concerns relating to state government at john.piscopo@housegop.ct.gov or at (800) 842-1423.